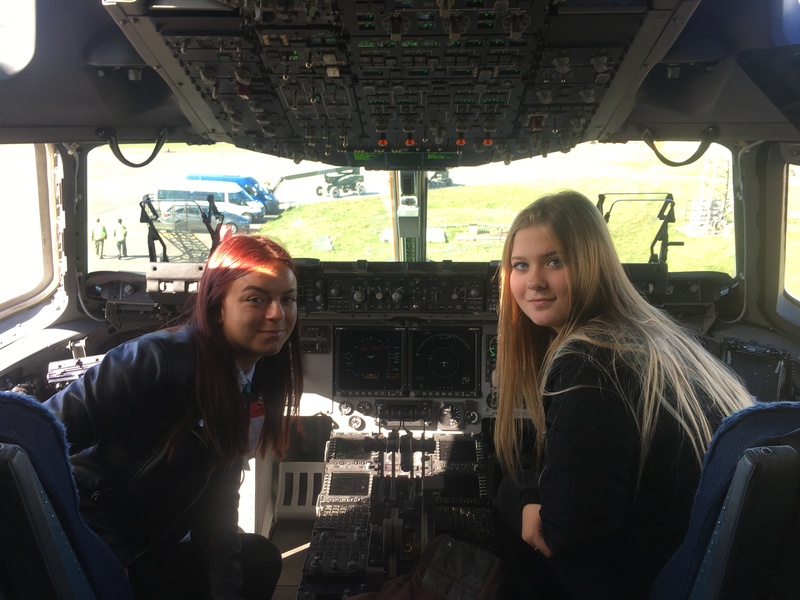 RAF Brize-Norton played host to Uxbridge College students who got a rare chance to board an official plane recently returned from peace keeping operations. The students from Uniformed Public Services and Travel and Tourism courses explored one of the RAF’s 8C-17 Globemaster 111 planes including sitting in the cockpit and visiting the cargo hold; this also allowed them to meet pilots, engineers and other aircrew. They also went to the Air Traffic Control tower as well as discovering what life was like for service personnel living on the base, including visiting accommodation and seeing facilities such as cafes, sports centre, pitches, bars and a swimming pool. The site in Oxfordshire is the RAF’s largest station in the UK and home to approximately 5,800 service personnel, 1,200 contractors and 300 civilian staff. Public Services student Julia Laskowska said; All of us have really enjoyed this trip and everyone found an interest of their own in particular work placements at the RAF. Public Services students, whose courses involve developing skills in areas including leadership, team building, fitness drills and discipline, may go on to careers with services including the police, armed forces, fire, ambulance and prison services, or progress to university and other higher education courses. Travel and Tourism students progress to work in a range in the industry including as cabin crew, overseas holiday representatives and management positions.